Sound Affects PremierNewsFree BCB-30 Case when you buy any 2 Boss Pedals! Free BCB-30 Case when you buy any 2 Boss Pedals! That’s right guys. Boss have announced another awesome deal that will last till the end of the year. 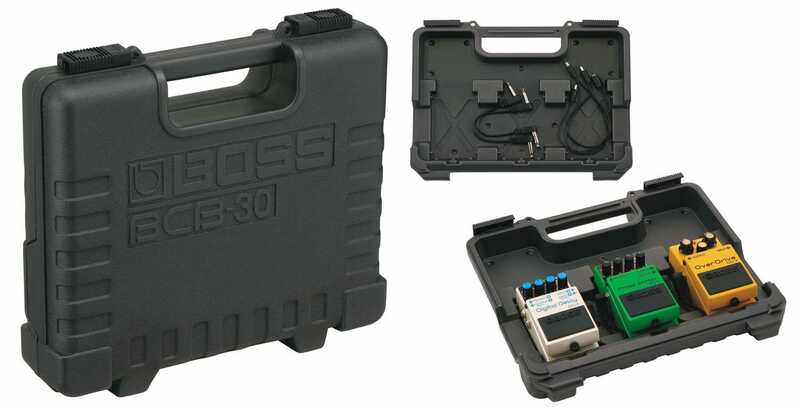 The Boss BCB-30 is a convenient way for guitarists to transport their Boss Compact effects so that you can rock up at a gig/rehearsal and simply plug and play. Made of high quality moulded resin, the BCB-30 is lightweight and will protect you pedals from damage. Made of heavy duty moulded resin and is fully gig worthy. Please allow up to 28 days for delivery of the BCB-30 Case. Free BCB-30 Case is subject to availability, while stocks last.